Brands love social media, and with good reason. 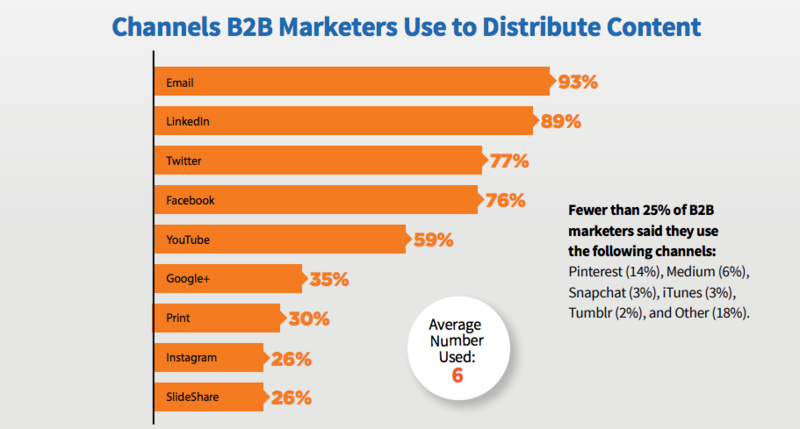 Social serves as both an unparalleled way to get to know your customers and a great content distribution channel. You’ve probably formed a content strategy and a social media content strategy, but are they aligned? You’re not doing yourself any favors if you silo your content strategies. Even if you have different individuals in charge of the content and social functions—or even different reporting structures—you need social media and content addressed in a single content strategy to present a unified brand experience to consumers. This integration starts at the beginning by including your social content strategy within your overall content strategy. By including social as a component of your content strategy, you provide the groundwork that ensures the consumers of your content will easily recognize your brand at a glance—from a Facebook post to your website. Anything less than a seamless experience can send a consumer packing. 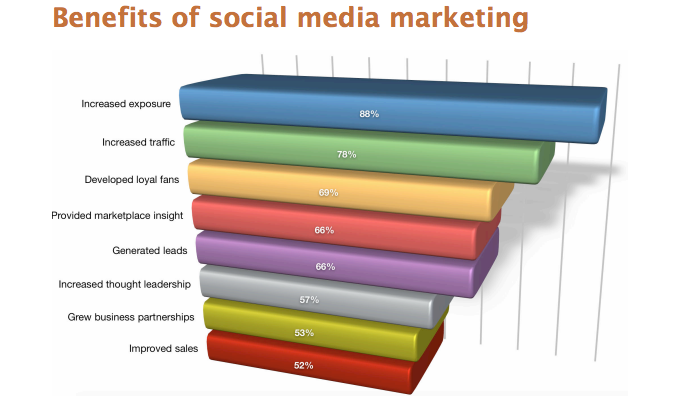 So how do you unify your social media and content marketing strategy? Let’s take a look at some of the most important things you need to do to integrate social into your content strategy. Have you ever seen a brand Tweet that was completely out of sync with the rest of their content? When you have a mix of people and agencies running your social accounts, it is difficult to maintain consistency across all your communications. That’s why it’s important to define and document a brand voice or style guide to guide all the content created for your organization. Here’s an example of NYU’s brand voice defined in their style guide. Finding and defining your brand voice is similar to defining your visual brand. But instead of deciding on fonts and colors, you’re identifying how your brand’s personality plays out in your content and how content creators can carry it out across all your brand channels. Collect content from your organization and identify what makes it unique from your competitors’ content. The unique aspects set you apart from the competition and create your brand voice. Are you the encouraging friend? The nerdy data geek? The life of the party? What is different about the way you communicate versus how your competitors communicate? From the examples of your most differentiated content, describe your brand voice in a few words. These words will be the guiding force of your content. It’s OK if one of the terms is aspirational as well. It’s all about identifying who your brand is and you’d like it to be portrayed. Create a brand voice chart by elaborating on the words you’ve chosen and providing examples of “do’s” and “don’ts” when crafting a content story. If your brand voice is geeky, that may include using geek culture references regularly, while if your voice is scholarly, it may be to use relevant statistics often. The idea is you’re giving anyone in your organization who creates content for you—from an Instagram post to a web page—a clear idea of what makes a piece of content sound like your brand. Don’t be afraid to alter your brand voice chart when needed. Your company and the environment will go through changes over the years. Your brand voice should reflect those changes. Check-in on the relevance of your voice chart every time you update your social media content strategy. Have you seen engagement changes since the last update that warrant revising the voice chart? Twitter, in particular, can be a great place to test and refine your brand voice over time. With your brand voice defined, you’re ready to get into the weeds with integrating social into your content strategy. It’s important to outline exactly what you’re doing with your social strategy and how it will tie into your overall content strategy. The Content Marketing Institute stresses a need for a content map and channel plan when putting together a content marketing strategy. A content map focuses on the type of content you create and how your audience will come to encounter it. HubSpot has a template you can use to get started. Social media is often the first place a potential customer encounters your brand before they turn into a lead. For that reason, you’ll want a good amount of your social media content strategy to reflect that. Your channel plan will detail how you’ll use your various brand platforms, including social media. As you can see, it’s clear your social media content strategy should very much be a part of the overall content strategy planning process—not an afterthought. When laying out the details of your social content strategy within your content plan, it’s important to identify both the structure of the content and the desired action of the audience. The structure is a key aspect as it should align with your existing owned content. If content wouldn’t fit well within your website content, it probably shouldn’t be displayed on your social channels either. A strong relationship between social and content is the important link to better brand awareness and recognition. Creating a social content plan doesn’t have to be a big ordeal if you follow a few simple steps. Establish social media goals that mirror the goals of your business to ensure you’re on the right track. It’s easy to track likes and impressions but those are vanity metrics. Set goals that reflect your social content’s positive input into your marketing results. Find the right social network for your target audience. For example, you probably don’t want to use Snapchat if your audience is 50-year-old bankers. Think about your brand voice again and the story you want to tell. Branded content will flow naturally with brand voice guidelines in place. Create a consistent social schedule you can stick to. Don’t forget the importance of engaging with your customers! If your social feeds are an endless one-way stream of pushing out branded content, you’re leaving the social out of social media. Track everything so you can adjust your social media content strategy as needed. You can use Sprout Social’s analytics tools to get details on your top performing content. We know that your audience needs to identify your brand easily. Logos, fonts, and color palettes are all major recognition clues, but your content could be the missing piece of your branding puzzle. Each individual piece of social content needs to be able to stand on its own as a representation of your brand, while driving to relevant owned content. Social Media Examiner research has found a strong link between social media performance and content strategy. In the report from 2017 they found 78% of marketers counted increased website traffic as a top performance result from their social media activities. So, if you’re not including links back to your site in a good amount of your social content, you’re missing out on one of social media’s biggest benefits to your bottom line. Brands with strong, integrated social media content strategies consistently see solid engagement. American Express paints the picture of trusted friend you can rely on–the perfect match for the entrepreneur. DiGiorno loves to crack jokes, share memes and make an over-the-top dedication to frozen pizza on a daily basis. And who could forget the branding of Nike? They’re your one-stop-shop for motivation. What ties all these brands together? They all know their target audience and have crafted a strong brand voice that resonates with them and have used that voice across all their brand communication channels. They’ve built up an impressive number of dedicated social followers—and that consistency between their social media and content strategies is a vital component of that success. In today’s omnichannel marketing world, everything is connected. Your content matters at every step of the buyer’s journey. A LinkedIn or Facebook post is an opportunity to enhance your brand image and build your community’s brand affinity. Don’t let the myth that social is just social get in the way of implementing a cohesive social media content strategy. 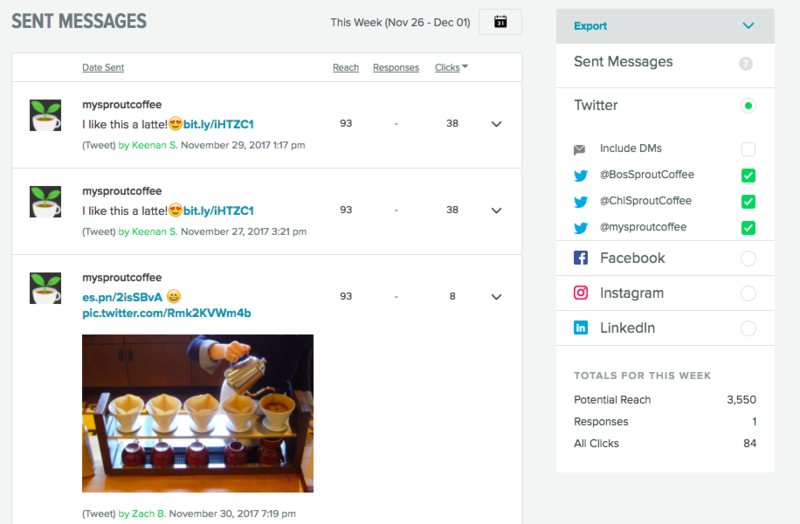 Request a demo to see how Sprout can help connect your social and content strategy! Proving that the work you’re doing makes a difference can seem overwhelming with social media, but it’s not all that different than proving the ROI for most business investments. Use UTM parameters and URL shorteners like bit.ly to measure all aspects of your social campaign. Define custom UTM parameters to differentiate between organic amplification and paid social. Measure content amplification with a tool such as Buzzsumo. How often is your content being shared by your audience? Are influencers sharing or linking back to your content? Track the percentage of social referral traffic to your website for each piece of content using Google Analytics. Once your social-referred visitors are on your website, track the number of leads generated through hand-raiser actions taken on your blog, such as signing up for your mailing list or requesting a demo. Look at which leads became qualified through repeated interactions with your gated and ungated content and which social channel the leads came through, as well as if it was paid or unpaid. Even if you can’t track social-generated leads from Tweet to purchase, your goal should be to track those referrals as far through your funnel as you can. It’ll allow you to quantify the value of your social media efforts and provide you with the data you need to fine-tune your social media content strategy over time. No matter how you manage your social media and other content programs, it’s important to know that your social media content strategy is working with—not in conflict with—your overall content strategy. Treating your social and content as separate entities can only lead to customer confusion down the road. But providing a seamless experience can gain you a customer for life. Which would you prefer? Erika Heald: Erika Heald is a San Francisco-based marketing consultant and freelance writer. She focuses on helping technology and specialty food startups define their content marketing strategy to drive lead generation and customer loyalty. Erika led and grew high-performance content marketing teams at Highwire PR, Anaplan, and Achievers. You can find her on her blogs erikaheald.com and erikasglutenfreekitchen.com, or hosting the weekly #ContentChat Twitter chat.